Being backed by Repco offers additional peace of mind that you will receive honest, reliable and high quality workmanship. Our Honesty. Our Expertise. Your Safety. - You Can Rely On The Trust, Experience & Knowledge at Mansfield Motors. 12 Month nation wide warranty on parts and labour at any Repco Authorised Dealer. 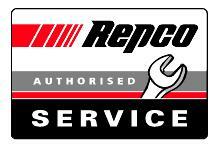 Your Nearest Repco Authorised Dealer is close at hand. Mansfield Motors warrants that there will be no defects in materials or workmanship. Mansfield Motors will, during normal business hours at our premises, and within reasonable time frame, replace any part supplied and fitted by Mansfield Motors which has failed, and readjust those components noted as being defective at any time during the warranty period.